When I see somebody on the train dressed head to toe in AMI, I feel a sense of kinship and familiarity even if they’re a complete stranger. Aptly meaning “friend” in French, AMI is the brainchild of Alexandre Mattiussi, a designer who boasts stints at both Givenchy and Marc Jacobs. 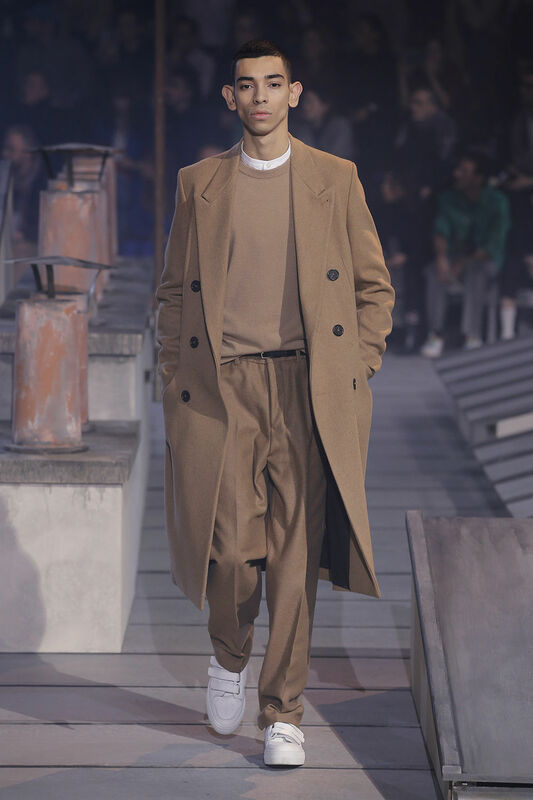 Mattiussi’s idea of menswear sets itself within those idyllic moments in life, while remaining grounded in form. Imagine sitting in a cafe with coffee and a croissant, or a bar, waiting on another Old Fashioned. Riding the train with your friends, en route to a night out. Life’s moments, encapsulated in clothing. 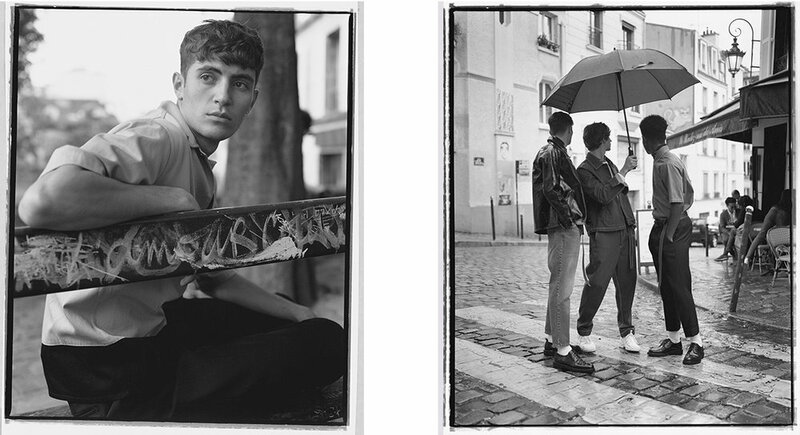 In this vein, he manages to capture the essence of Paris youth culture through design - carefree and effortlessly cool. Even the runway shows channel this, with the FW18 collection set on a faux Paris rooftop﻿. Despite the potential preeminent “you can’t sit with us” mentality this culture can exude, AMI is nothing if not welcoming. Think of your typical French “cool guy” type. Chisel toe boots, suffocating black denim, maybe a fresh off-the-rack intentionally distressed denim jacket for good measure. You’ll find none of that here. Think straight leg, pleated trousers that rest a bit higher on the waist. Oversized, belted wool trenches that simultaneously swallow and amplify a silhouette. A bowling shirt you could see your dad wearing (and him looking extremely cool while doing it). No extraordinary showcase of larger-than-life fashion. This is life. This is clothing made for friends. AMI’s meteoric rise in success has stemmed from a few things, but namely Mattiussi’s decision to service this feeling for today’s menswear market. After all, the Frenchman founded his label on the idea of dressing up his friends. Infinitely wearable, smart, minimal, menswear at an affordable price point. Striking a balance between casual and classic sits at the core of Mattiussi’s ethos, and the clothing champions this ideal. Within the company, Alexandre treats the entire staff like a family. During interviews, each potential hire is asked what they’re passionate about. He takes this into account when placing new hires, making sure they can focus on refining their strong suits with minimal distraction. This strategic placement ensures that each step of AMI’s creation process is stacked in its own favor, and elements such as tailoring, marketing and brand direction all boast their respective experts. In 2017, Mattiussi made GQ’s list of “Coolest Menswear Designers on the Planet”, his name nestled alongside United Arrows and Kinfolk, paving the way for collaborative efforts of all kinds (on top of the others he’d already cemented). With the likes of K-Way, Gap, Moncler, and Eastpak already under his belt, Mattiussi continues to establish the AMI name and image among the pantheon of today’s most forward-thinking brands. From classic camel car coats (repeat that in your head once or twice), cozy knitwear, carrot fit trousers, retro-future sneakers, to Breton striped turtlenecks, AMI is Parisian chic distilled in its purest form. If you’re looking to achieve that French cool-kid edge with an emphasis on comfort and ease of wear (and maybe step out for a smoke with that one girl wearing the beret at the party), look no further. You’ve found your friends. 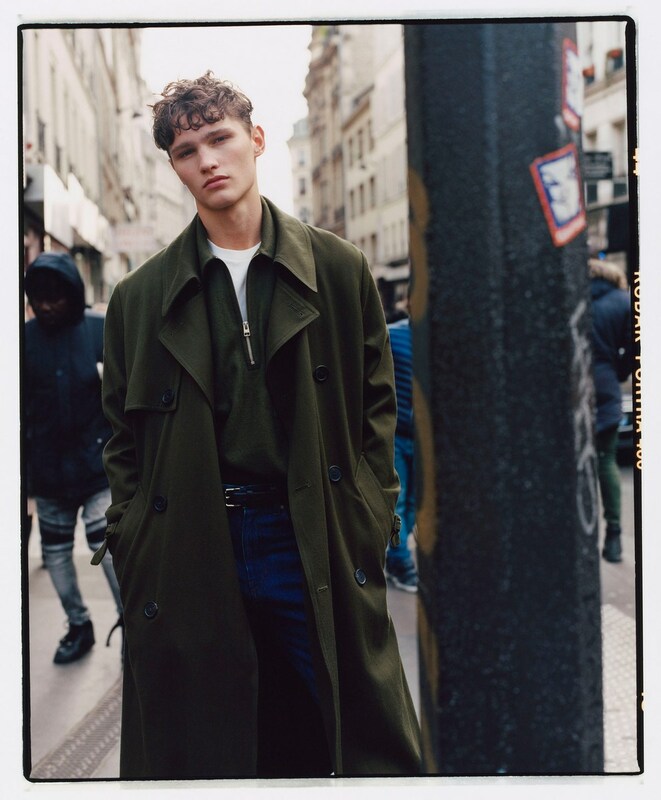 Check out our boy, Jackson, tearing up Paris. Hurry up with his damn croissant.